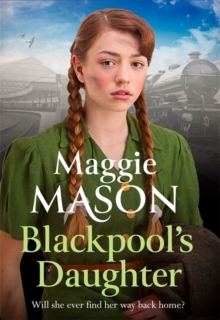 -------------The perfect read for fans of Mary Wood, Kitty Neale, Val Wood and Nadine Dorries***PREVIOUSLY CALLED BLACKPOOL EVACUEE***Clara is forced to flee her home as the Nazis invade the beautiful island of GuernseySeparated from her mother, far away from anything familiar, she is at the mercy of a cruel shopkeeper. Clara is worked like a dog, but the warmth of her Blackpool friendships will go far to save her. Julia just wants to find her beloved daughter - but the trials of war will keep them far apart.